LET THE WOMEN DO THE WORK"Oh, it's tin, tin, tin, hunk o' tin. I've abused you and I've flayed you, but by Henry Ford who made you, you're a better man than I am, hunk o' tin." 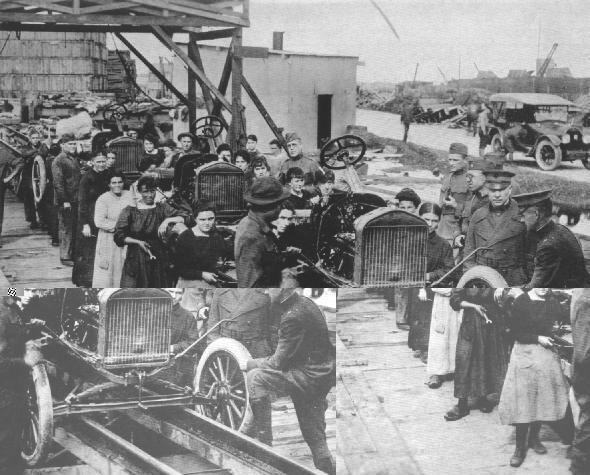 The picture shows French women in the service of the American army assembling "flivvers" overseas at an assembly plant.